Collapses to 26" x 1.25" and uses friction-locking system. 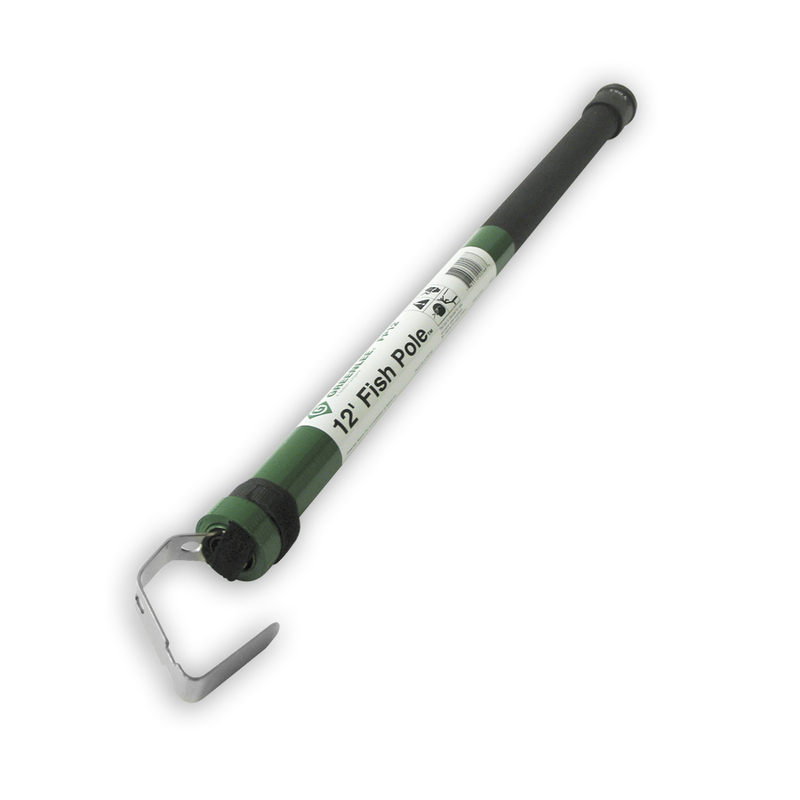 - Designed specifically for pushing and pulling wires over long distances. - Push or pull wires over suspended ceilings, under sub-floors or crawl spaces and in attics. 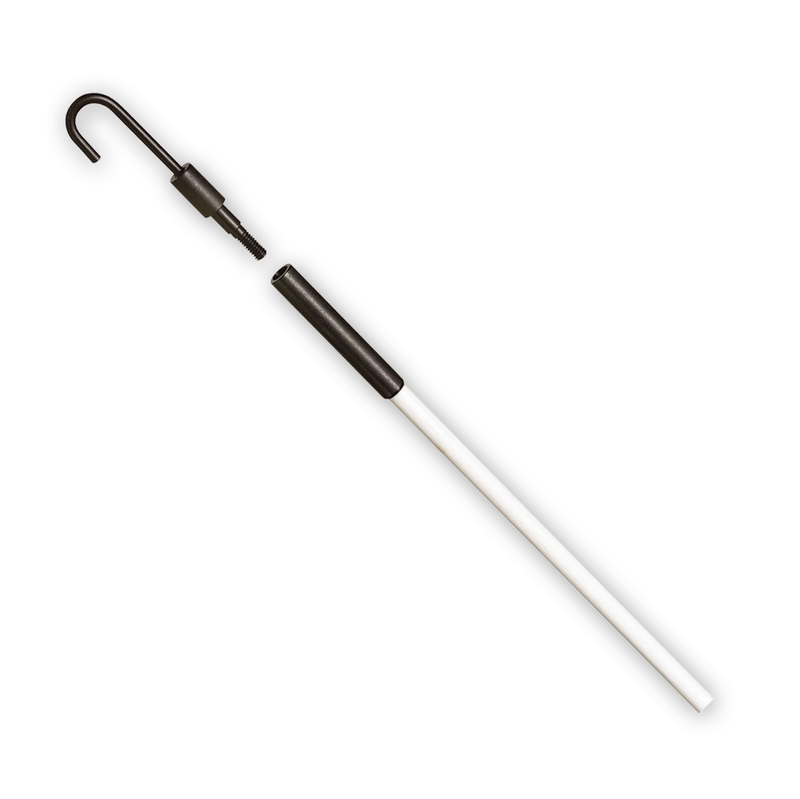 - Specialized hook can be used to install wires in suspended ceilings. - Velcro strap secures pole when in collapsed position. - Self-contained, no loose parts. - Lightweight design to minimize fatigue. 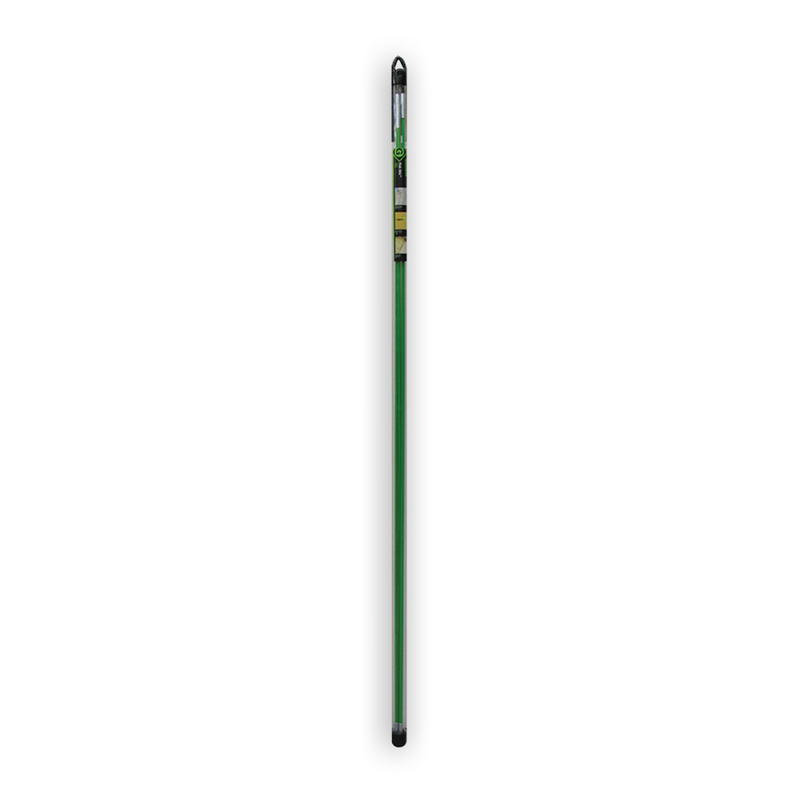 10442 - Fish Pole 18' collapses to 27" x 2" and uses friction-locking system. 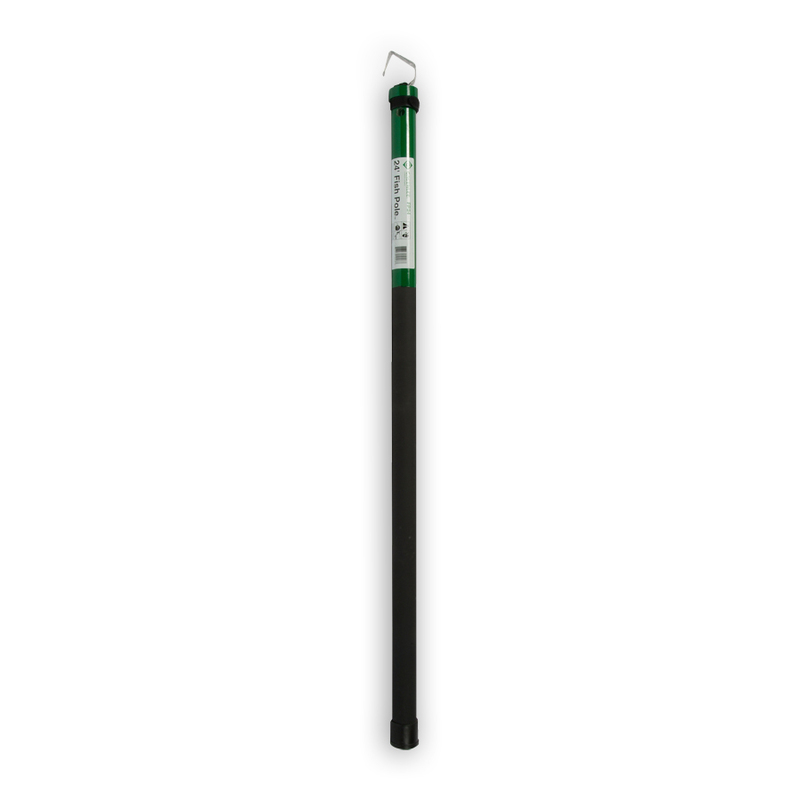 10443 - Fish Pole 24' collapses to 50" x 2.25" and uses snap-lock buttons to maintain extended reach capabilities. 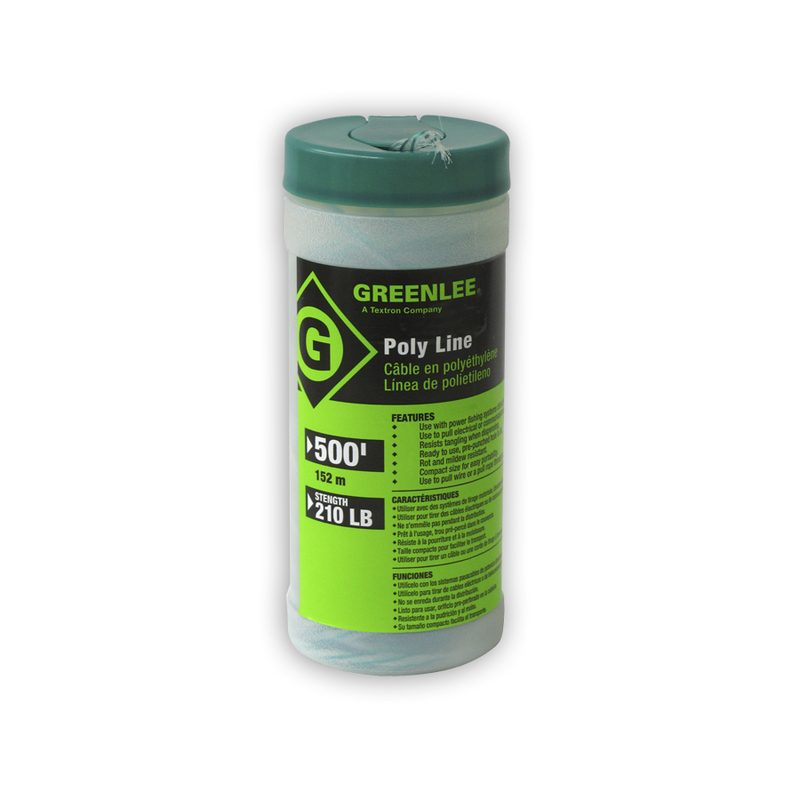 Highly visible green color rods can be easily threaded together and seen when working above ceilings, down walls, or under raised floors. - 1/4" (6.4 mm) diameter fiberglass rods provide added rigidity when multiple sections are connected. - 200 lbs. (0.9 kN) minimum pulling strength. - Two different threaded tips accommodate various bundles of wire or cable. 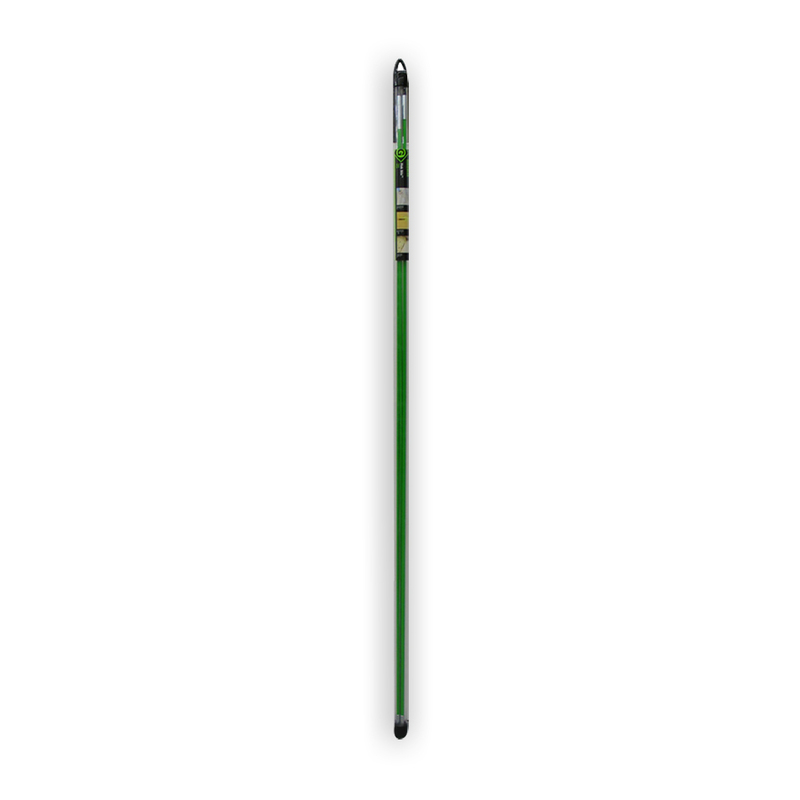 - 540-24 includes one 3' Glo Stix™ section for improved tip visibility. 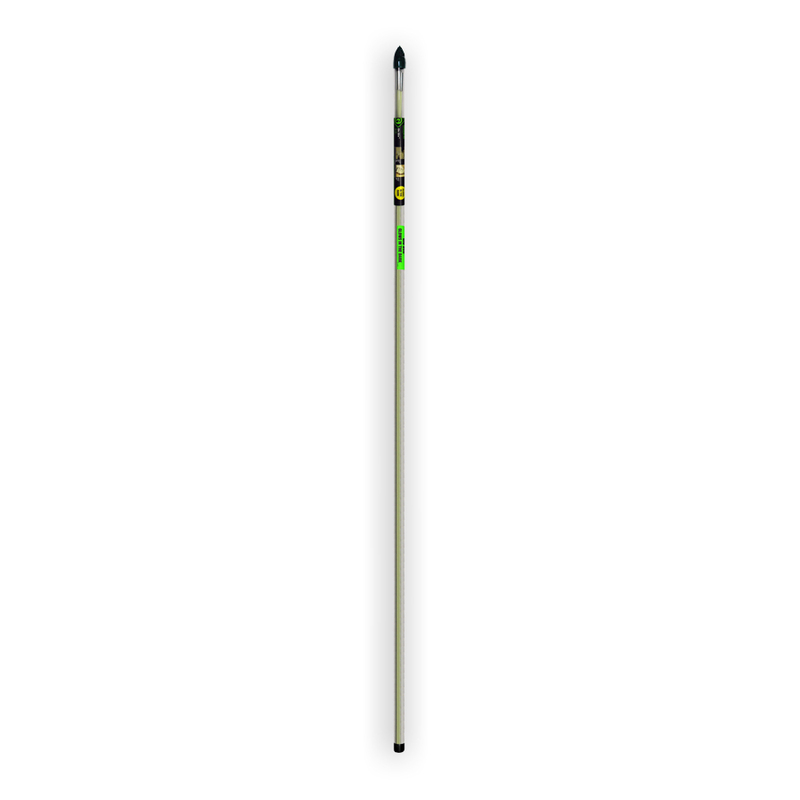 - Optional Whisk Nose Tip is available for fishing over obstacles, and can be used to guide extended Glo Stix sideways above ceilings by rotating. Can also be used to fish longer lengths by providing a tip that can be snagged from the opposite direction with another extended Fish or Glo Stix with a hook nose tip. - Luminescent fiberglass rods glow in the dark to make fishing voice, data and video wires easier in dark spaces, such as above ceilings, in walls, and below sub-floors. - More flexible for fishing in walls through outlet box holes. 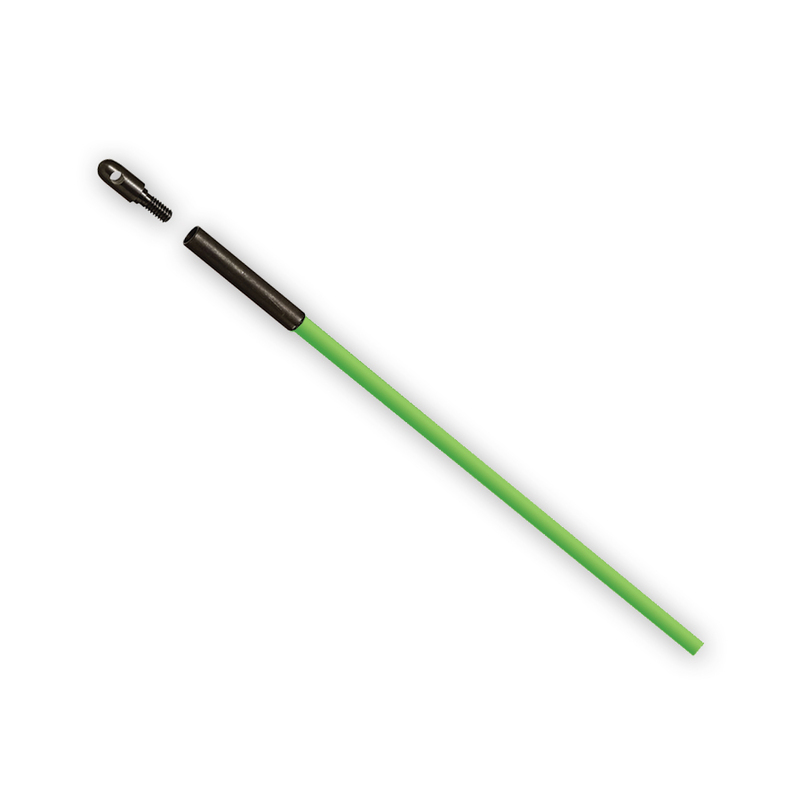 - Sturdy, steel-threaded connectors are interchangeable with Green- lee - 1/4" Fish Stix. - Clear, non-metalic storage tube keeps Glo Stix charged. - 200 lbs. maximum pulling strength. - Use to reach and pull wires over suspended ceilings, in cable trays or through interior walls.